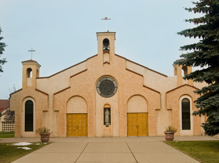 Santa Maria Goretti Italian Parish is a 1600 family, city wide Roman Catholic Parish in Edmonton, Alberta, Canada. The parish was established in 1958 by first generation Italian immigrants, and now serves as a spiritual home for many subsequent generations of faithful descendants and their families. Saturdays at 4:30- 5:00 pm, or by appointment. The Parish's weekly Italian radio program can be heard on World FM 101.7 every Sunday morning at 8:30 am. Students preparing for to receive the Sacraments of First Holy Communion, Reconciliation, and Confirmation posed for a photo with Fr. George and their teachers after their last day of classes on April 7. SMG Parish had the honour of hosting don Francesco Armenti for a Lenten retreat and reflection. Thank you don Franceso for leading us in prayer and reflection! 2019 Sunday donation envelopes are ready for pickup at the back of the church. 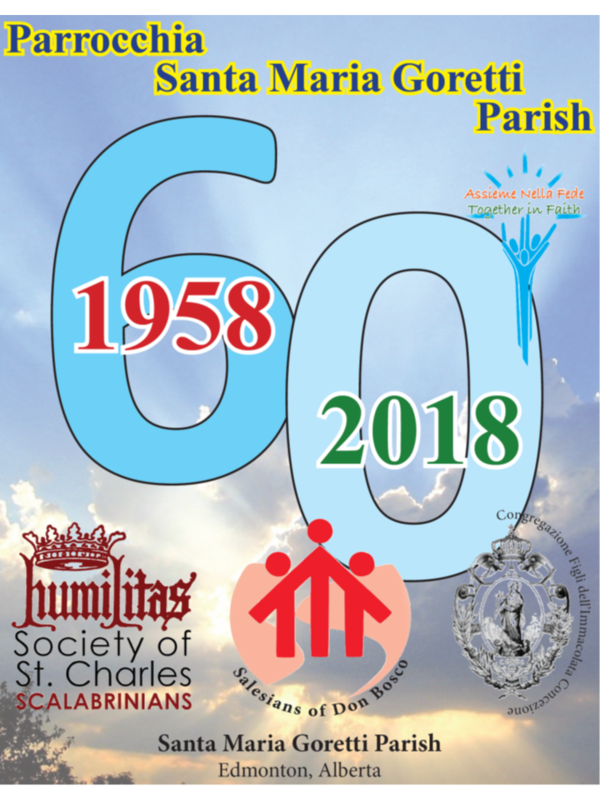 Please contact the Parish Office to register and request a new set of envelopes or to inform of a change of address or contact information. 2018 Charitable tax receipts are ready for pickup at the back of the church. On January 6, Santa Maria Goretti Parish had the privilege and honour of hosting His Excellency Bishop Philipose mar Stephanos. His Excellency celebrated the weekend masses with Fr. George. Fr. George was given a warm welcome by members of our Parish during a recent Advent visit.